One is the Mayor of London. The other is a 6-time Grand Slam Champion. One has built a reputation of playing jester, especially in sports. The other made his career on the tennis courts. 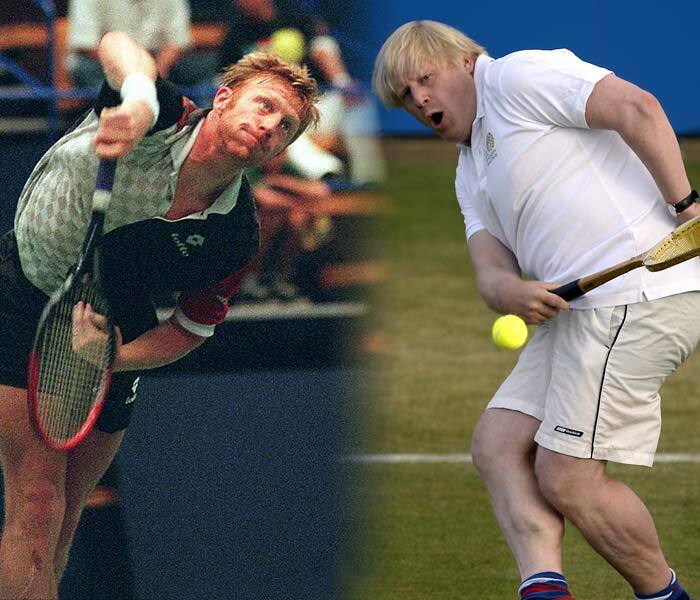 Meet Boris Johnson and Boris Becker, who with blond locks and cheeky grins, share more than just a name. 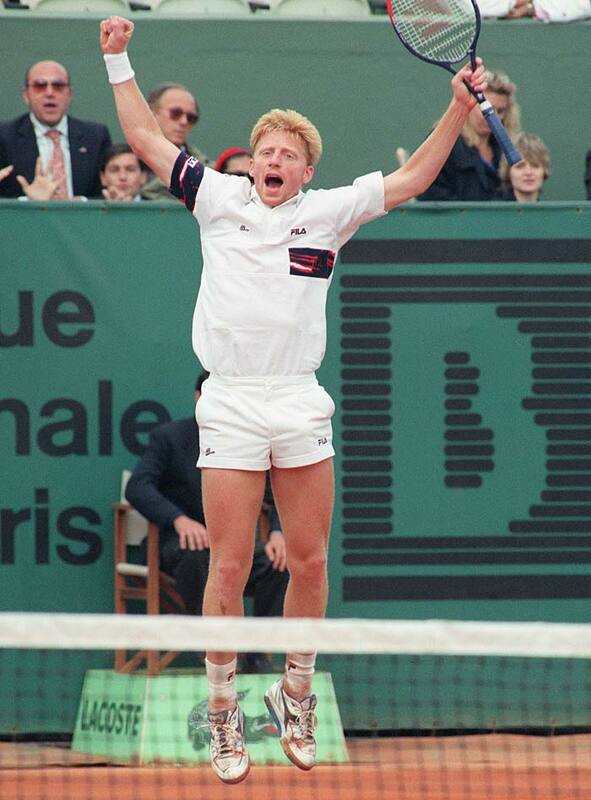 ... who goes by the name of Boris Becker. 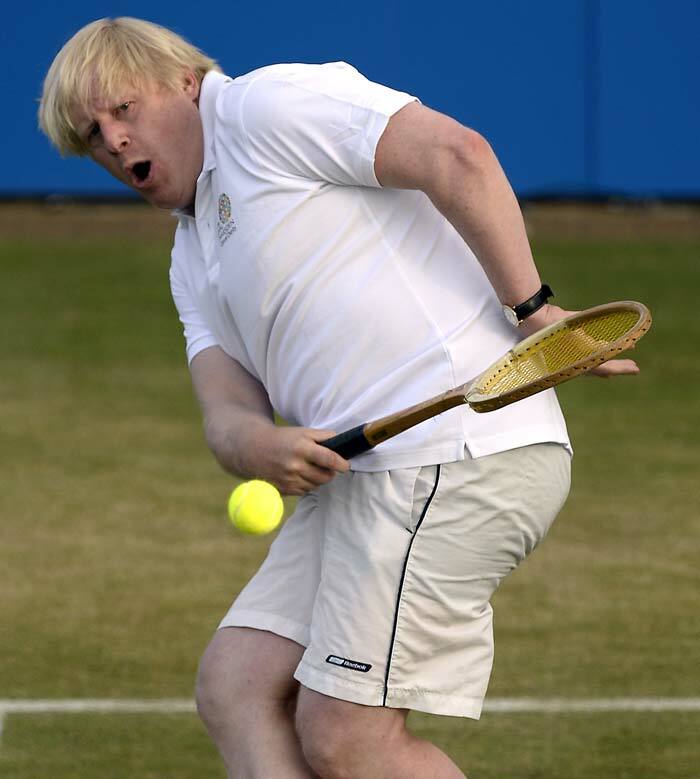 With racquet in hand, on-lookers could be forgiven for mistaking one for the other. 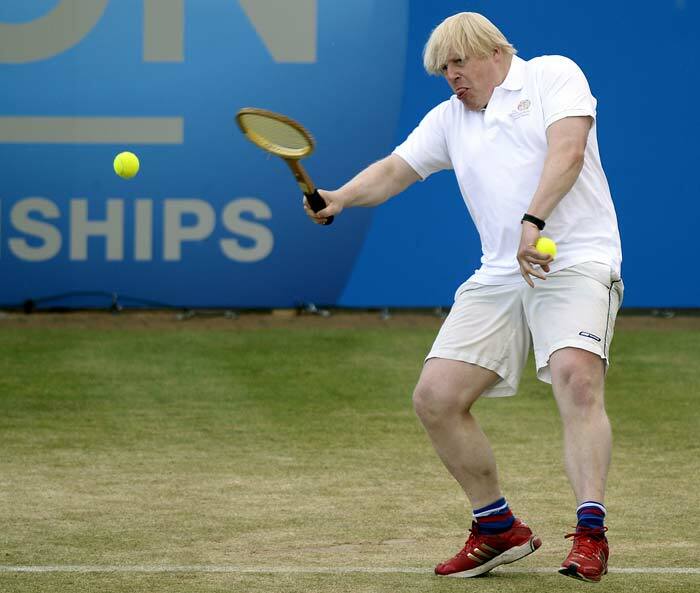 Johnson was playing a charity match after the men's final at Queen's between eventual champion Andy Murray and Marin Cilic on Sunday. 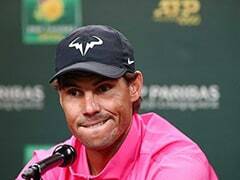 The smash he attempts here may not have been too effective, but his on-court antics have become smash-hits nonetheless. 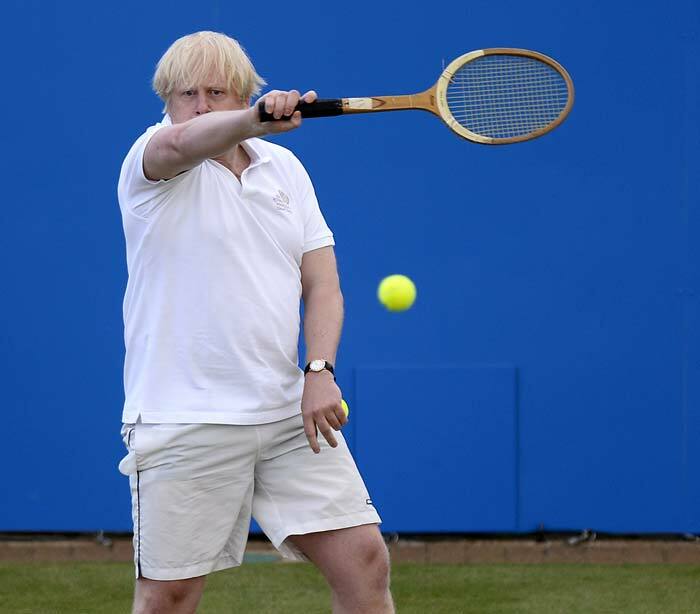 A lesson in serving for the Mayor of London. 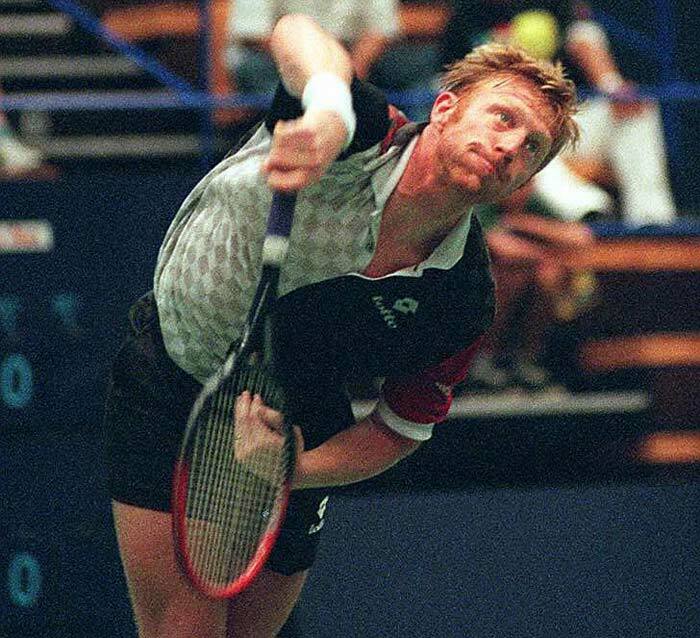 They may look alike, but Johnson displayed none of the poise, guile and precision as exemplified by Becker in his hey-days. Johnson though did display a wide array of shots with his backhand pass proving the most effective. Roger Federer would have been proud! 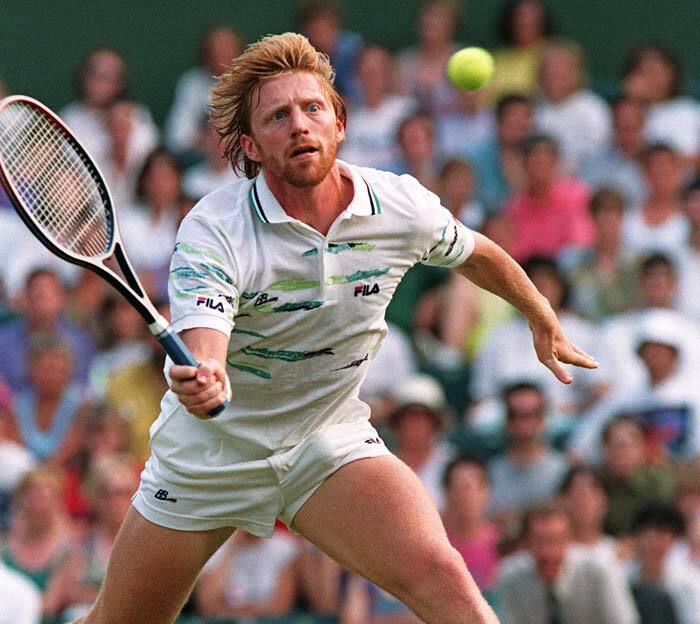 Not one to play second fiddle, Becker had a whole host of shots in his repertoire. 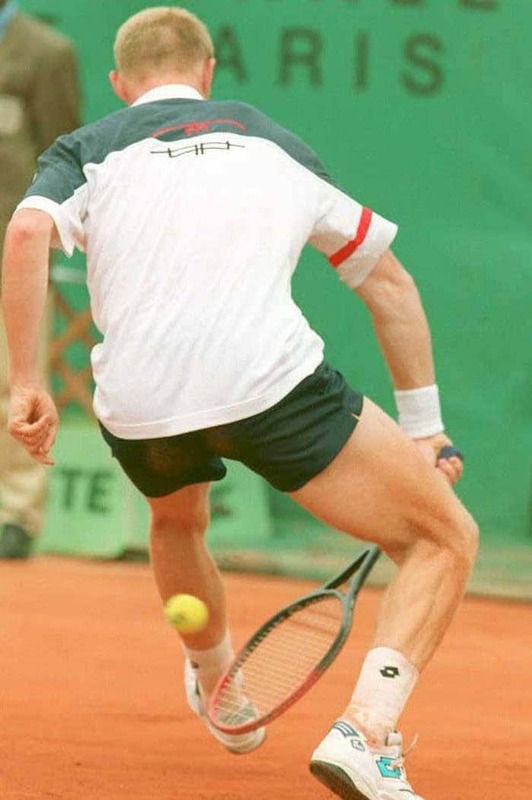 At the 1995 French Open Becker would have made Johnson proud with this underhand shot between-the-legs. 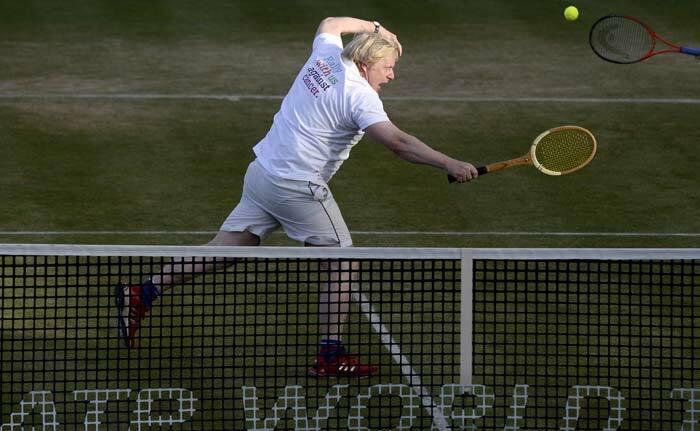 With his tongue sticking out (as it was throughout the exhibition match), Johnson passed, volleyed, aced and returned to raise over 200,000 Pounds for the fight against Cancer. 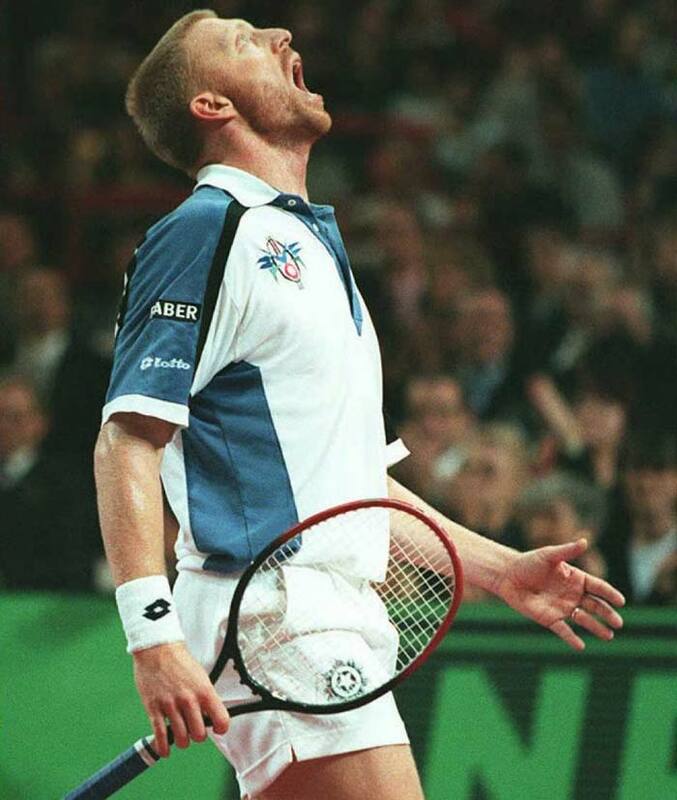 Becker was no stranger to showcasing his emotions as well. 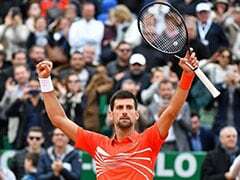 'Der Bomber' was a vociferous on-court competitor, and shared a acrimonious rivalry with Andre Agassi in particular. 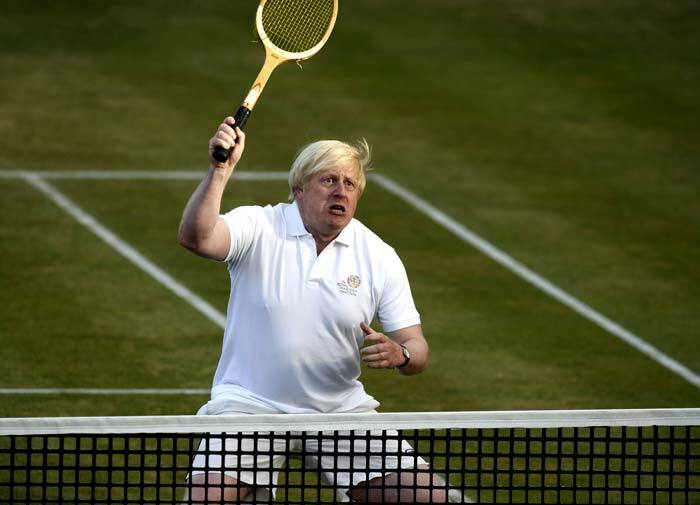 As Mayor of London, Johnson visited India last year as part of the build-up to the Olympic Games. 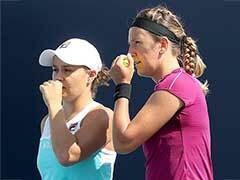 At an event in Mumbai Johnson was vocally mistaken for Becker, as confusion between the pair went global. In normal circumstances, Becker and Johnson are 'lookalikes'. But put a tennis racquet in either hand and the differences between the pair are there for all to see.